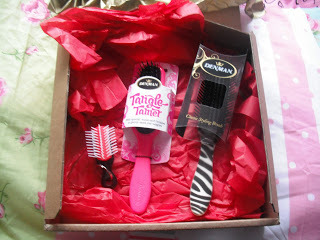 I recently received a lovely little package of goodies from the lovely Sian at Denman Brush. 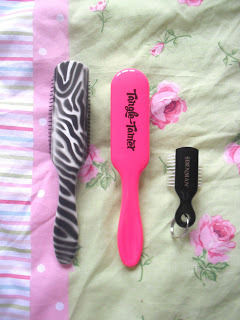 She sent me a D3 Zebra styling brush, a pink Tangle Tamer, and the cutest little miniature keyring I’ve ever seen! 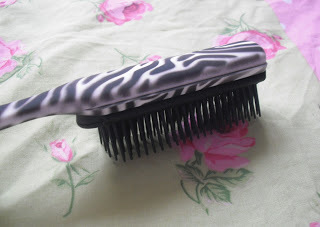 I remember as a child my Mum always used a classic D3 Denman hairbrush on my wet hair after my swimming lessons! It hurt. But I remember she kept that hairbrush for years and years and probably still has it now. 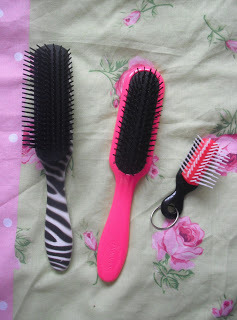 Denman makes long lasting quality hair brushes, and I am so lucky to have received some brand new Denman products! The Denman D3 Zebra styling brush is the new design of the classic D3. It comes in 4 wild colours – white, blue, purple, or pink. 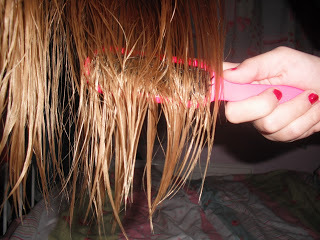 It is ideal for any hair length or type, and the half-round pad gives maximum grip and control. There are 7 rows of nylon pins, making it perfect for blow drying, smoothing, shaping, and polishing! 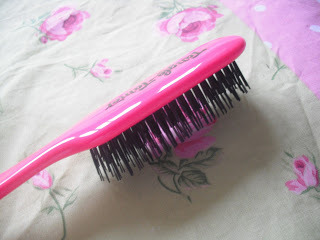 This brush costs only £8.68 from denmanbrush.com, which is a bargain for such a long lasting product that will no doubt be with you for years. 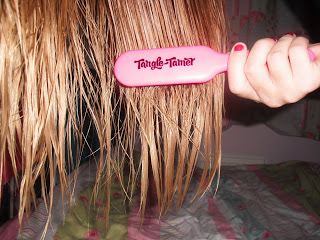 Next is the gorgeous pink Denman Tangle Tamer. 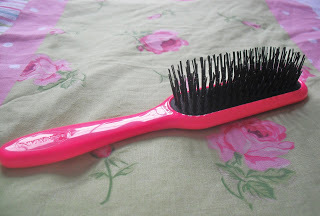 It has super soft nylon bristles that gently glide through the hair. The air cushioned pad follows the contour of the head for smooth, damage free brushing. Its also lightweight and has a comfortable handle. These cost only £6.20 from denmanhair.com. This is so cute! The Denman D3 mini keyring. 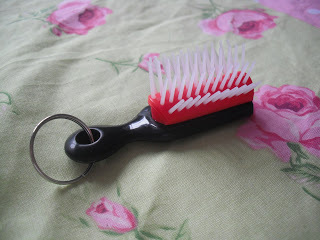 This is a must have for any handbag, and a perfect price at only £2.04! I used the Tangle Tamer after washing, and towel drying my hair this evening. 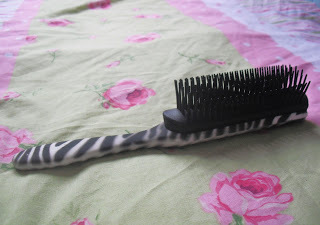 It was so easy to use and it didn’t pull or tug at my hair like normal brushes do. 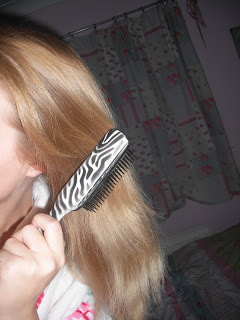 The soft bristles really do allow the hair to detangle so easily. And also it gave my head a little bit of a massage and made my scalp all tingly! I even used it on my Dad and he enjoyed it too haha. I love this product and really recommend it. I really wish I had one of these as a kid, as it would have resulted in much less tears! Its a really great brush, and even though my hair was really knotty from having my hair curled, it didn’t hurt when detangling. I think this is a must have for only £6.20. 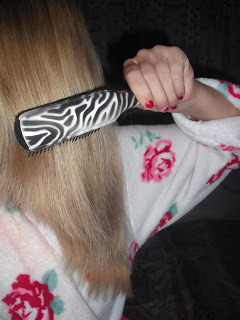 The Zebra print classic brush does everything you would want a hairbrush to do! It is firm yet lightweight, and the handle has a soft-touch to it. It is an essential styling tool and is suitable for everyone. It is very comfortable and easy to use, and I would also recommend this product, as everyone needs a good long-lasting brush, no matter what their hair length or type. 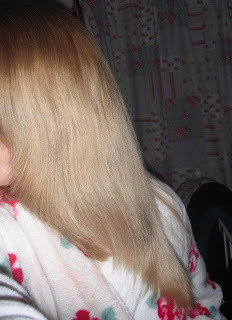 Please excuse my dressing gown..
Denman also have a new hair straightener out called Ice Diamond, and they look amazing! They come in different colours, obviously I love the pink ones! 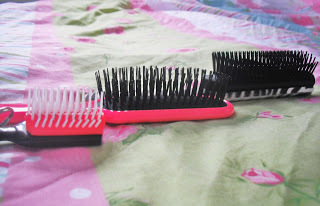 I love Denman hairbrushes, you're so lucky to be sent them!